Nice Air is FAA Approved for Private Pilot to Flight Instructor for airplane. The main difference between approved flight schools and non-appoved schools, is we at Nice Air follow Federal Air Regulations Part 141. This requires a flight training syllabus for each course, instructor standardization, supervision and stage checks by the Chief or Assistant Chief Flight Instructor, and regular FAA inspections of school facilities, aircraft, simulators and training devices, as well as student training records, and instructor records. In order to maintain the FAA's approval, Nice Air must maintain at least an 80% first time pass rate for all graduates on FAA Flight Test. However, if a students requests they wish to be instructed under FAR part 61, we will accommodate you. 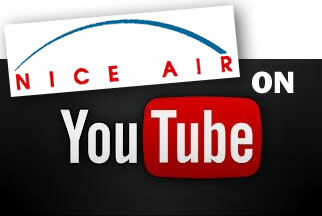 Nice Air is authorized to administer all FAA exams for all FAA licenses and ratings.